You love your pet, but you’re also trying to sell your home as quickly as possible. Owning a pet can have an adverse effect on how buyers see and value your home. 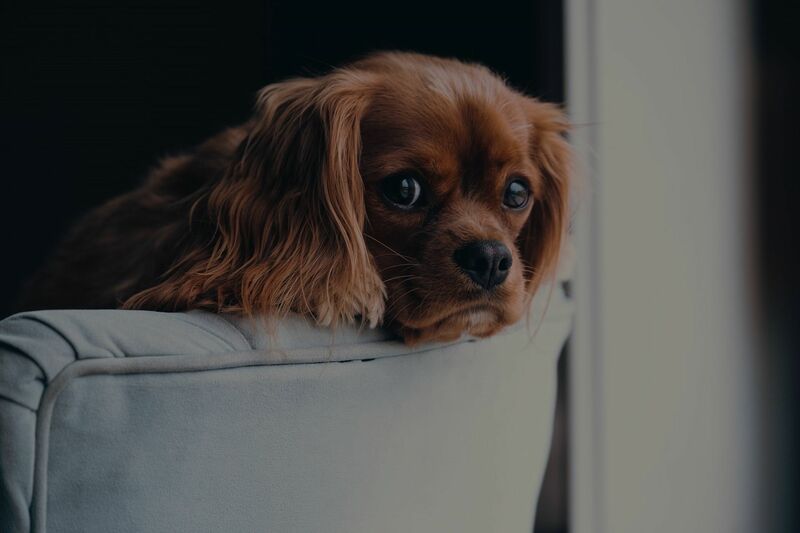 Not everyone appreciates indoor animals the same as you do, and if it’s obvious that you share your home with a cat or dog, you may end up losing potential buyers. If you’re worried about how your animal might affect your listing, here are five tips to mask their presence when staging your home. Carpeting and pets are already a bad mix to begin with. Not only do they show stains that have accumulated through the years, they also trap hair and odors. Carpets can be a dead giveaway that you share a space with a furry companion. Rolling up any rugs or carpeting will help eliminate traces of your animal trapped in the fabric, and also make cleaning your floors a breeze in between showings. While you’re taking care of your floors, you should also go ahead and give your home a thorough cleaning. This includes dusting, sweeping, wiping down surfaces, and decluttering. There are probably many items you have lying around such as books, papers, and toys that could be boxed up and tucked away while your home is listed. Decluttering could also mean moving around larger furniture pieces to allow more floor space in your home. Decluttering will make your home feel more clean and spacious, while also cutting down on the odors in your home. Another way to freshen up your home for showings is by bringing a little more light into the mix. Brightening up your home can breathe new life into small crowded rooms and make spaces seem larger and cleaner. Adding some new floor lamps or opening the curtains are just a few simple ways to brighten up your home and allow viewers to see all the potential it has to offer. It is important to note, however, that by letting more light into your house, you could possibly expose more stains and blemishes in your home left by your pet. Make sure to thoroughly look around your brighter home before showings so that you can catch any stray hairs in the upholstery or stains on the walls and floors. Every showing begins with the home exterior, and sometimes the impression your lawn and garden makes on a potential buyer can determine if they decide to even step foot inside. That’s why it’s important to make sure your house sticks out on the block—and in a good way. If you keep your pet outdoors, you might want to take a few extra steps to keep your lawn looking clean for potential buyers. Picking up after your pet is a great place to start, and will help you avoid any unpleasantries as guests walk around your property. You might also consider touching up on your home’s exterior trim or planting some new flowers in the garden. If you’re worried about your pet ruining your garden, there are several strategies to help keep them at bay. Finally, the best way to have potential buyers gloss over your pet’s presence in your home is by not having them present during showings. While some buyers will love the fact that your home is already pet-friendly, others will just as quickly turn away once they see Fido wagging his tail at your door. Showings are a good time to put away the bowls, toys, and crates, and to take your cat or dog out for a long walk or car ride while people are viewing your home. Owning a pet doesn’t necessarily lead to a drop in your home’s value. What buyers are really looking for is a living space that is bright, clean, and functional. As long as you keep your home regularly cleaned, decluttered, and smelling fresh, you should have no problem closing your home’s sale.